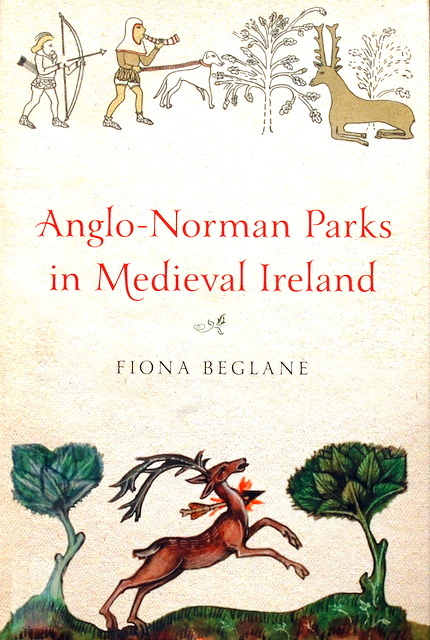 Anglo-Norman Parks in Medieval Ireland is a brand new book by Four Courts Press. This interesting and informative publication is written by Fiona Beglane, who is a lecturer in archaeology at the Institute of Technology Sligo, and also a consultant zooarchaeologist. In it she attempts to examine the surviving evidence for medieval parks in Anglo-Norman Ireland. The publication concentrates on parks from the period 1169 to 1350, but also discusses what happened to them in later periods. It employs a thematic and multi-disciplinary approach, which combines a range of sources, including archaeological field work, historical research, place-name evidence and folklore. 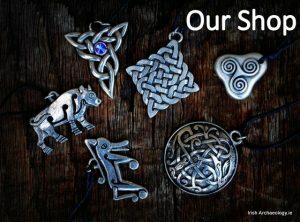 Key topics explored include the form and function of Irish medieval parks, their occurrence and location in the landscape, the status of and identity of their owners and a comparison with parks elsewhere, especially those in England. During the study at least 46 documented medieval parks were identified and a number of these were studied in detail. In England, fallow deer, hunting, parks and the manor were inextricably linked but in Ireland the situation appears to have been more complex. Although hunting and venison were certainly important in some large, high-status Irish parks, the preservation of woodland for timber and the enclosing of pasture for domestic animals were also significant considerations. Parks were an important part of the manorial system of demarcating and structuring landholding in England; however, it seems they never became an essential feature of the Irish manor. The reasons for this lie in chronology, landscape and politics, and these form a major theme within the book. This is well-researched and accessible publication that investigates a largely unexplored aspect of Irish medieval history. It should be of interest to anyone interested in the Middle Ages, especially from a landscape perspective. Competition: The good folks at Four Courts Press have very kindly offered a copy of their new publication, Anglo-Norman Parks in Medieval Ireland, as a prize in Irish Archaeology.ie’s latest competition. To enter just leave a comment below (all comments have to be moderated so it might take and hour or two for them to appear). I’ll then pick a winner out of a hat (closing date from entries is 6 pm on Saturday 6th of September, the winner will be notified on Sunday the 7th of September). The winner of the book is Gearoid Kelleher, congratulations! Excellent subject! If it’s going to be my turn I’d be delighted to have it, read it, love it. Thanks for contest, I’d love to read this book! Hope its open to US. So much amazing information has become available in the past few years. Thank you for sharing so much of it with all of us who don’t have access to rare libraries and ancient sites. This book looks equally wonderful. thanks for the comp! Interesting! Would like to learn more. If only I lived in Ireland, I’d use this book as a guide book and visit as many of these places as possible. This sounds like a fascinating topic and one that has not been fully explored or written upon. I am looking forward to reading it. An interesting topic, and one I don’t believe I’ve seen discussed much. Considering the changes in the Irish landscape in the last 1000 years it is certainly a subject that deserves a lot more consideration. Very interested in this topic, one of the medieval parks was just over the hill from the Rock of Dunamase county laois. 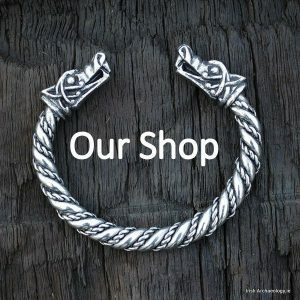 We have run a post on this previously with its connection to the Rock of Dunamase and would certainly like to delve a bit further into the subject. The book looks beautiful! Thanks for the chance to get one! Looks like a valuable contribution to medieval Irish research. Can’t wait to read it! What an interesting topic to cover in book form!….I’ll be buying this book anyway if I don’t have any luck here!!!! Having studied Irish history as part of my degree in TCD, I have always been fascinated by the Anglo Normans in Ireland, looks like a very interesting read indeed. Sounds interesting. I enjoy reading medieval history. I would love to win this – it is on my wish list anyhow. I have found another book to add to my bucket list. As an archaeologist I’d welcome any opportunity to gain another perspective on medieval landscapes. I look forward to reading this book. Very interesting, would love to read. Sounds like it would be a great source for my dissertation on medieval Ireland! Now this is a book that looks worth reading. What a fascinating topic! I’m eager to learn more about these parks and how they fit into the shaping of landscapes throughout the country in the Middle Ages. Definitely one to add to the library. Visiting Ireland in December. This book sounds great. Sounds interesting. Count me in! Oh, how this book would lend my library some spark! Very cool book on a very interesting topic! I hope I get the chance to read it before I go to Ireland this fall! Sounds like a really interesting read and a great book to add to the collection! I have noticed that that period of Irish History is underrepresented ion my book shelves and this new publication would be a welcome addition to correct this. Thank you for this opportunity. I would love to read this book, specially the part about what has happened to these medieval parks. Where are they now? Have they been retained as parks or agricultural land? Do Deer Parks still exist? This book sounds fascinating. I would love a copy! Would that all these parks still existed today! Fascinating sounding book. Would be well used over at The Standing Stone. This wonderful book adds another layer and prism to view our complex history . Stuff we never learnt in history class at school . Where were they? Where are they now? Why were they? What do they tell us about life there and then????? Really fascinating book. I’ll be looking to get myself a copy – winner or not! An aspect of historical Ireland I never imagined existed. And the cover design is remarkable. Almost magical. Any in Offaly , around Birr maybe ? I love the emotion that comes through the art & writing of the times discussed in this book. I’d enjoy having that reference at hand, especially as my connection to Ireland has to be a long distance one (California< USA). Looks like a really interesting study, would love to read it.